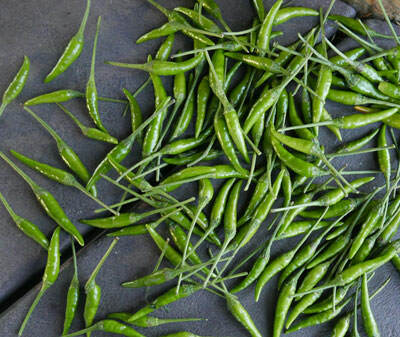 We just got a shipment of true Thai chilli peppers, with very strong heat, with excellent fresh green stems to indicate that they were just harvested days ago. Extremely spicy, with the unique flavor that comes with green chillies. 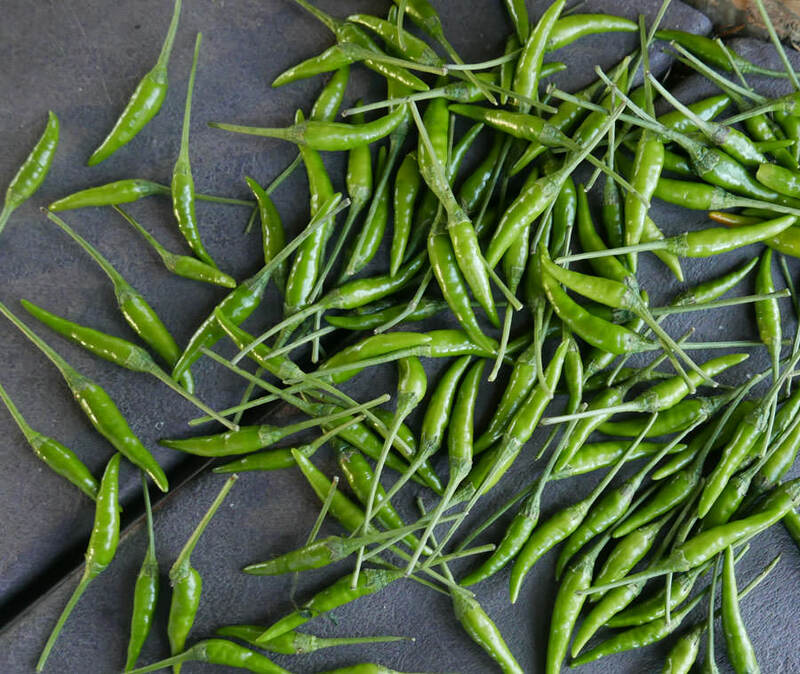 We rarely see green chillies with this intense high-heat flavor. Shipping immediately a very fresh batch.